Take an interest in what your child is doing and talk about the things which are brought home. Seize every learning opportunity and let your child help with simple jobs around the home, e.g. with cooking, laying the table, watering plants. Praise your child for their efforts and achievements, however small. Read and tell stories, and join the Children’s Library for a wider range of reading material, and to encourage a love of books. Talk to and play with your child wherever possible. Go for trips to the park, on a bus, on a train, and to places of interest. Use every opportunity to introduce your child to different sounds in their environment. Also encourage your child to experiment with different sounds they can make using different surfaces and equipment e.g. pots and pans. Show your child words, letters and numbers whilst out and about, e.g. on street signs, road signs, house numbers, shop windows, post boxes, number plates etc. Get him/her to use memory by recalling events of the day in the proper sequence. Refer to letters of the alphabet by the sounds they make, NOT their alphabetical names. In school we use lower case letters, apart from initial capital letters of names. Please don't teach your child to write everything in capitals. 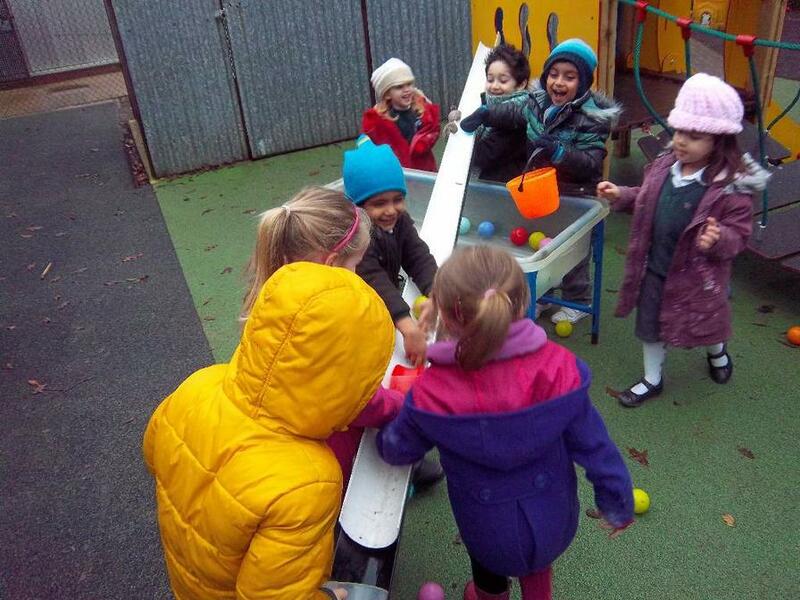 In Nursery we concentrate on developing the fine and gross motor skills which enable children to develop the skills involved in holding a pencil.